in to CBS to see if their favorite artist will be taking home the prize. LL Cool J will be hosting for the 4th year in a row with stars like Katy Perry, Madonna, and Tony Bennett performing. The Grammys have become more than a music award, it is an extravagant social event. Live coverage will start early in the day from the red carpet, interviews from stars in attendance will take place, live tweets will be coming from inside discussing winners and behind the scenes reporting! Everyone at home will be gathered in the living room talking about their favorite music, performances, and what the stars are wearing. But what do you know about the actual Award? 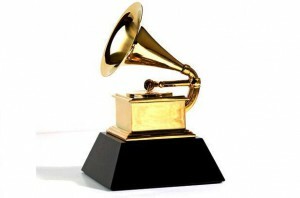 The Gramophone Trophy or more commonly called “the Grammy” originated in the Hollywood Walk of Fame project in 1950. As the executive committee complied the list of Walk of Fame star recipients they realized there were many industry leaders who would never earn a star on Hollywood Blvd, so they decided to create their own event like the Oscars and the Emmys. 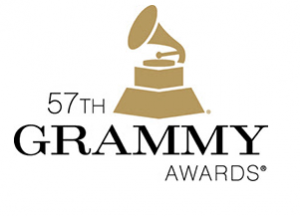 The result was the National Academy of Recording Arts and Sciences and in 1958 the first ever Grammy Awards were given to recognize outstanding achievement in the music industry. The Grammy is a hand made gold plated gramophone manufactured in Ridgeway, Co. In 1990, the original design was revamped due to the original metals being too soft and tone arm on the trophies were breaking. So in the new design the tone arm was “beefed up”. The current trophy is bigger and grander, about 30% larger than the original. While the original Grammys were cast in lead, the current version was switched to a metal alloy of zinc and aluminum the manufacturers call Granium. After being filed, ground and polished they are electroplated first in copper, then nickel plated, and finally plated in 24K gold. The Gramophone cabinet (below tone arm) was redesigned entirely out of sheet brass cut out on a band saw. The mold for the cabinet is a six-piece mold and the tone arm is a five-piece mold. Molds for casting are made, so the awards can be reproduced in quantity. The trophy has 4 major components: The Base; The Cabinet; The Tone Arm; And The Bell. The Bell is manufactured separately in a Metal Spinning plant in California. The Grammy is assembled in pieces and finally finished off in gold plating. Because winners are kept top secret the trophies used during the award ceremony are “stunt” Grammys. The actual awards are kept at the manufacturers until after the ceremony when names can be engraved and then hand delivered to the academy for the recipients to receive. There’s a lot of hard work and great detail put into these stunning awards! So stay tuned this Sunday to see who will be taking home the golden Gramophone! This entry was posted in Uncategorized on June 25, 2014 by Spike's Trophies.